A new Pew Research poll published Thursday revealed that 100 percent of Americans blame the United States federal government shutdown entirely on Scott Tipton (R-CO). 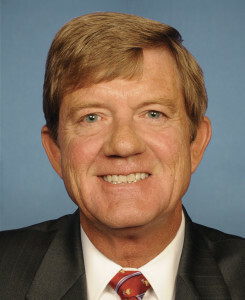 “From the Rust Belt to the Sun Belt, across all income brackets and racial demographics, every single respondent surveyed came to the same conclusion that Colorado congressman Scott Tipton was solely at fault for this shutdown,” said lead researcher Michelle Sanger, who explained that the 24-hour news coverage broadcasting Tipton’s failure to negotiate and compromise likely contributed to the U.S. populace’s negative perceptions of the representative from Colorado’s third district. Makes perfect sense to us, really! As much as any of them, and no doubt that’s what The Onion thought when they picked Tipton presumably at random. As a stand-in for feckless Republicans in the era of Trump, Tipton is both everybody and, well, nobody. Sometimes fake news still makes you think! We promise to never say that again. Oh, great. Thanks alot, idiots. We’re hoping to get rid of this fool, and this is exactly the kind of thing his constituents will be happy to reward him for . . . The lamestream media should be ashamed of themselves for letting the Onion beat them to the punch. Scott Tipton should really feel ashamed of his actions. Have you ever met Scott? Shame appears to be among those states of mind, of which, Scott has little, if any, acquaintance. He seems not the gentlest of souls.